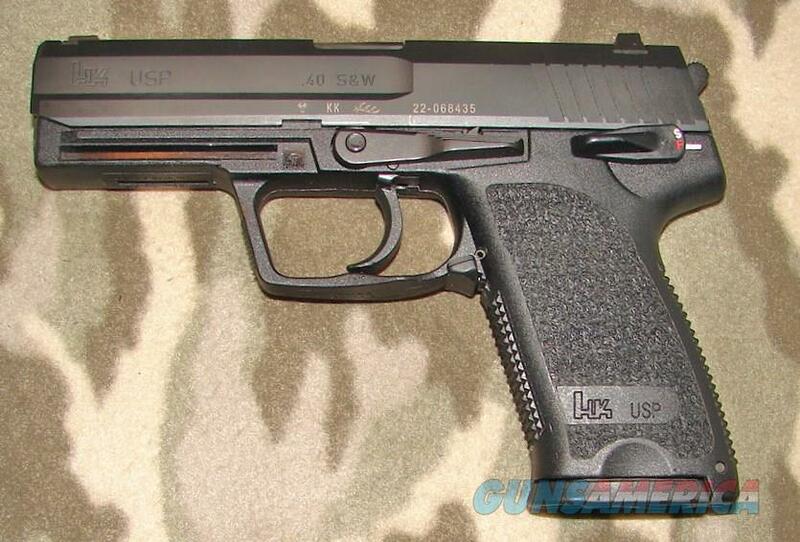 Description: Heckler & Koch USP Semi-Auto Pistol serial #22-068435, 40 S&W, 4 1/8” barrel with a bright excellent bore. The metal surfaces retain 99% original “Hostile Environment” finish displaying a couple of minor hairline scratches. The black polymer frame with stippled grips rates excellent overall with a few handling marks present. Featured are a set of 3-dot front and rear night sights. Included with this pistol is a green hard case, two magazines, safety lock and two rail attachment accessories. A fine example of a USP 40 overall.